We now know one of the best ways to improve gut health is to consume fermented foods on a regular basis. The probiotics in fermented foods like turnips, cucumbers and eggplant help balance the mucus in your digestive tract, protect against disease and chelate toxins, and remove heavy metals from your system. Mercola.com makes fermenting your own vegetables easy. Mercola’s enhanced formula produces healthy bacteria that promote gut health, beneficial enzymes that make digestion easier on the stomach, and even increase bioavailability of vitamins, like vitamin K2, in your vegetables. 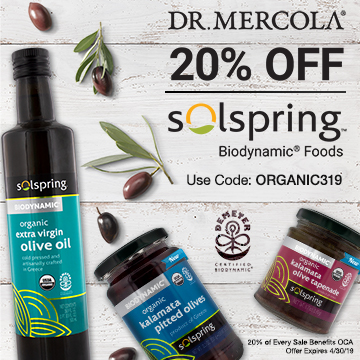 Now through midnight April 30, 2018, get 20 percent off Mercola’s Kinetic Culture Packets and most other Mercola products with this promo code: ORGANIC418. Mercola will also donate 20 percent of the product price to OCA. Shop now and get 20 percent off.